Proprietary blend of Shea Butter, Jojoba Oil and Blueberry Fruit which is rich in anthocyanins and antioxidant, making it a popular ingredient for skincare. Contains a proprietary blend of Shea Butter, Jojoba Oil and Blueberry Fruit which is rich in anthocyanins, thought to have antioxidant and anti-inflammatory properties. This product allows you to add anti-oxidant rich attributes to your formulations! Average Melt Point: 112º F.
Butyrospermum Parkii (Shea) Butter and Elaeis Guineensis (Palm) Butter and Simmondsia Chinensis (jojoba) Seed Oil, and Vaccinium Angustifolium (Blueberry) Fruit. COMMENTS: No scent at all. It's a little grainy jar but doesn't affect its overall performance. Just in case I did add a little bit of emulsifier to prevent it behaving like shea butter sometimes when it hardens. In all, I'm happy that there is a butter full of antioxidants which I could add to my butters, lotions and lip balms. 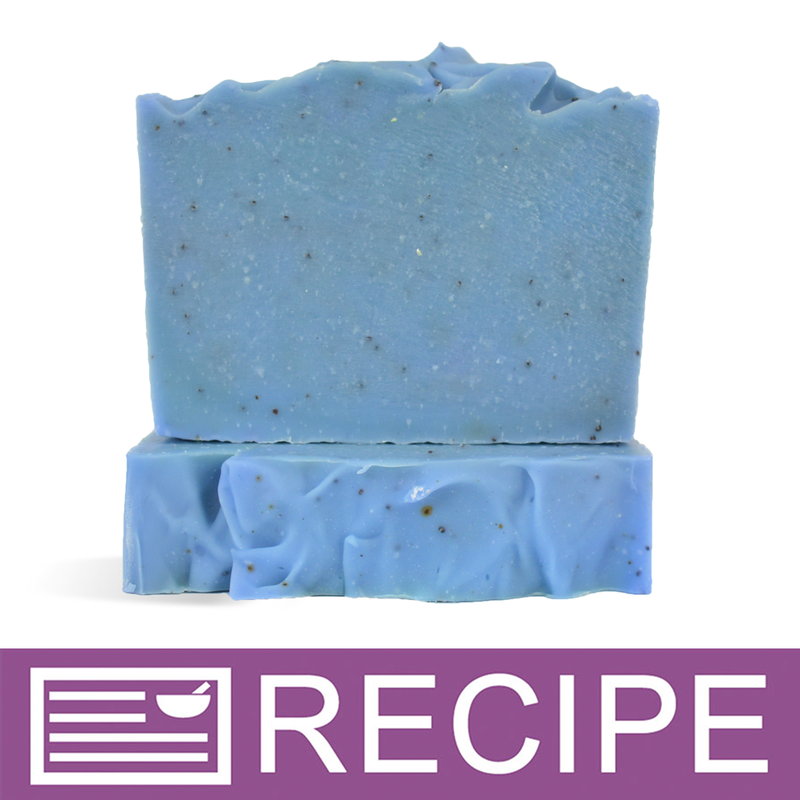 COMMENTS: I plan on adding this to my blueberry cupcake soap. I love all butters! This one was grainy as opposed to buttery upon receipt. No big deal for me as it's being used in cp soap. COMMENTS: I used this butter in a sugar scrub. Turned out great. Will purchase again. "great product, sad to see it go"
COMMENTS: this was the first butter blend I purchased. you can detect a slight hint of blueberries and customers love the light natural scent. I made a cream out of this and everyone that has tried it loves it. it absorbs nicely into the skin without a greasy feel. COMMENTS: This is my secret ingredient for lip balm! All of the other butter blends contain VEGTABLE OIL! This butter has it all. Coconut. Palm. All in one. I really have NO idea what I'm going to use to replace it! WSP I am a loyal customer. Please reconsider. If anybody has any alternatives please let me know! I HATE a "waxy" balm and my customers love my smooth balms and this is why and now it's gone. COMMENTS: I use this in lip balms and when I originally ordered it, I hoped it smelled like blueberries. Sadly, it doesn't and it's more a cream-color than blueberry color, however, it is really creamy and I love how it feels in my lip balm recipe! COMMENTS: Great Great Great! Awesome scent! Easy to work with! Will buy more! "Can I use this in the lip balm base? If so, at what rate would you suggest? Thanks!" "How do you calculate this into your recipe? all the Lye calculators do not have blueberry Butter in it to chose from. Thank You.. Rhonda"
Staff Answer For our recipe, we superfatted at 1% and added our other ingredients into the lye calc. We added some of our oils and butters in at 5%, so we took this amount of 1.40 oz., and added in our Blueberry Butter at 5%, or 1.40 oz. This brought the superfat up to 6% with this extra butter added in. We hope this explanation is helpful to you.